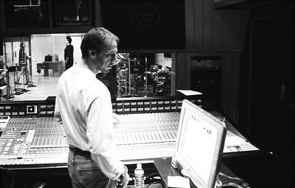 Rich Breen has been working at the highest levels of professional audio for the last 30 years. Among his many professional accomplishments, dozens of Mr. Breen’s recordings have been either nominated or won Grammy Awards®, and he has been personally honored twice with nominations for the Non-Classical Engineering Grammy in 2001 and 2011. While Mr. Breen has worked in all genres of music, he has a great deal of experience, and a passion for acoustic jazz and large ensemble acoustic recording. His extensive discography includes some of the finest musicians currently performing, including recordings with The Yellowjackets, Charlie Haden, Steve Gadd, Al Jarreau, Peter Erskine, Dianne Reeves, Ivan Lins, Herbie Hancock, Robben Ford, Norah Jones, Oregon, members of The Rolling Stones, Lyle Mays, Billy Childs, Ramsey Lewis, Nels Cline, The Sun Ra Arkestra, Alan Pasqua, and many more. He has engineered numerous feature film scores with large orchestras, including several IMAX films. He has extensive experience with surround recording and mixing, most of which is done at his home studio, Dogmatic Sound. An early adopter of digital technology, Mr. Breen worked with one of the first digital multi-track machines in the country at Chicago’s famous Universal Recording Studios in the early ‘80s, where he was also an early user/programmer of the NED Synclavier recording system. Mr. Breen holds a degree in Electrical Engineering from the University of Rochester and studied music at the Eastman School of Music. He has experience in analog circuit design, and was Universal Recording Studio’s Technical Manager (music side) from 1981 to 1989 before becoming a full-time freelance engineer.